☑ Accounts and Finance ☑ D.T.P Operators ☑ Govt Jobs ☑ Marketing and Sales ☑ Stores / Purchase ☑ Secretarial ☑ Insurance ☑ Administration ☑ Software Development ☑ Computer Operator ☑ Drivers ☑ Translators ☑ Medical Transcription etc. ☑ Text Classified Recruitment Advertisement: This type of ad consists of text or words per line with black and white colour with some background formatting options. It is also called ROL (Run on Line) Ads. Such ads are more economical. ☑ Classified Display Recruitment Advertisement: This type of ad consists of text, images and combination of different colours with some special effects and formatting options. Cost is charged according to per sq. cm. ad space allocated. This type of ad is attractive and of many shapes. ☑ Display Recruitment Advertisement: This type of ad comes with full, half and quarter page for front, back and third page positions. These type of advertisements have different colours, text, image, graphics. Cost is charged according to half, quarter and full page ad space. You can release recruitment/vacancy advertisement in Times of India Newspaper for your company/firm/agency to reach potential people for recruiting suitable candidates for desired positions. Your recruitment advertisement in times of india will cover all areas of Bangalore including Manipal, Hubli, Mangalore, Gulbarga, Davangere, Mysore, Bangalore City, Bellary, Hampi, Tumkur, Yelahanka, Udupi, Bidar, Chitradurga and Madikeri. 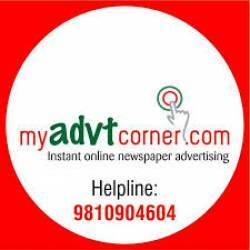 Our Rates are reasonable for any editions of times of india newspaper Recruitment advertisement.